Next Sunday, April 19th is my Stationary Box class. I still have room for two more to join in. The class is 18.00 with 7.95 applied to merchandise purchase. 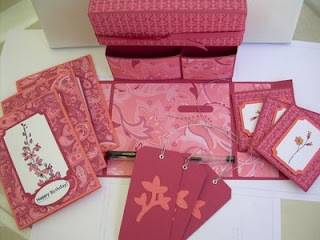 You will make a gift box, 3 full sized cards, 3 gift cards, and 3 gift tags. The cards all come with envelopes. 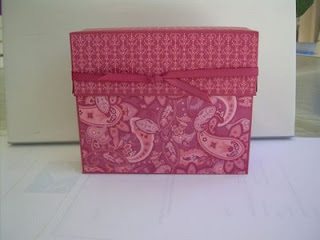 There are two different box prints .The box featured is the Raspberry Tart print the other print is Tea Party. The second print I'll show tomorrow.